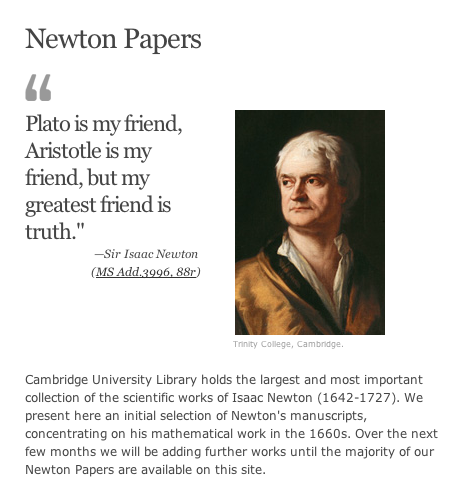 The Cambridge University Library has done a wonderful job scanning some of Newton's journals and papers, free to the public. Cambridge University Library is pleased to present the first items in its Foundations of Science collection: a selection from the Papers of Sir Isaac Newton. This first release features some of Newton's most important work from the 1660s, including his college notebooks and 'Waste Book'.